One year ago today we left the country. We left our home in CO on June 29th, but had the opportunity to spend a few days with Della’s uncle in New York state. Then we headed abroad! 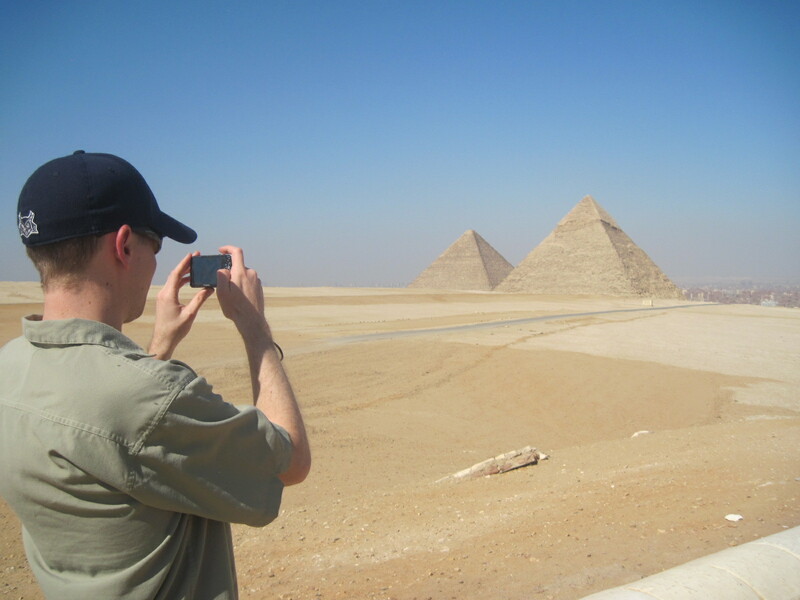 We were pretty excited to have found a plane ticket with a long layover in Cairo – long enough for us to leave the airport and explore the pyramids! Talk about an exciting first day on the road! You did some of what’s worth doing in Egypt. Great!